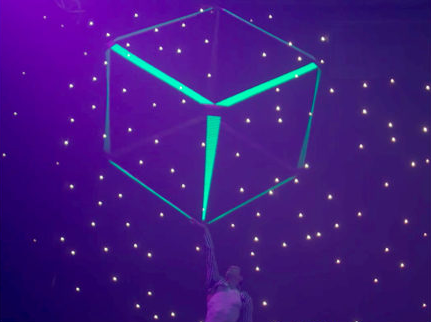 This Laser Spinning Cube & LED Dance Show is a feat of strength and agility to behold. As the world’s only laser spinning cube of its size is beautifully manipulated around the body, your guests will be left amazed as this chrome cube reflects the light and becomes a beautiful optical illusion as it spins. This show is suitable for corporate events, weddings, festivals and more. The Laser Spinning Cube & LED Dance Show culminates in a laser finale with green lasers beaming from every corner of the cube to as far as the eye can see. The show is available in two versions. 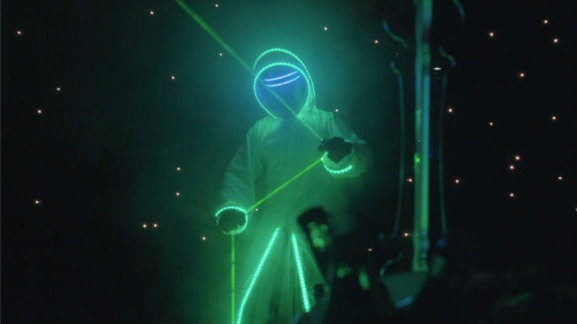 A high energy commercial performance including led dancers with synchronised colour changing costumes, laser manipulation and of course culminating in a dynamic laser spinning cube performance. Transporting your guests back to the 20’s bringing all the excitement of the prohibition with hot cops a plenty. The Smooth criminal and his accomplice run the stolen bank safe through your audience and onto the stage or dancefloor to blow the safe open with the cops hot on their tails. The cops reveal the true smooth criminal who will have your audience in awe with a mesmerising laser spinning cube performance.